Mikhail Mikhailovich Bakhtin was a Russian philosopher, literary critic, semiotician and scholar who worked on literary theory, ethics, and the philosophy of language. His writings, on a variety of subjects, inspired scholars working in a number of different traditions and in disciplines as diverse as literary criticism, history, philosophy, sociology, anthropology and psychology. 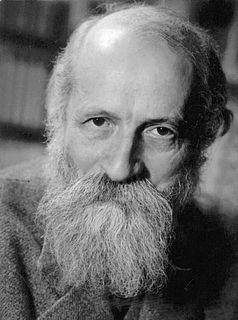 Although Bakhtin was active in the debates on aesthetics and literature that took place in the Soviet Union in the 1920s, his distinctive position did not become well known until he was rediscovered by Russian scholars in the 1960s. Paulo Reglus Neves Freire was a Brazilian educator and philosopher who was a leading advocate of critical pedagogy. 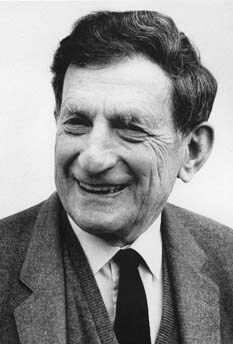 He is best known for his influential work, Pedagogy of the Oppressed, generally considered one of the foundational texts of the critical pedagogy movement. Dialogue as a genre in the Middle East and Asia dates back to ancient works, such as Sumerian disputations preserved in copies from the late third millennium BC,  Rigvedic dialogue hymns and the Mahabharata . 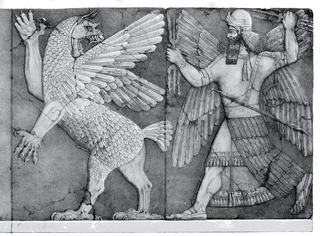 The Sumerian disputation or Sumerian debate is a topical short story created in the middle to late 3rd millennium BC. 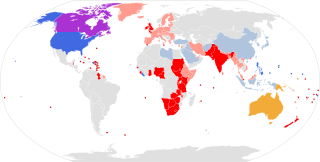 Seven major debates are known, with specific titles. Sophron of Syracuse was a writer of mimes. Socratic dialogue is a genre of literary prose developed in Greece at the turn of the fourth century BC. It is preserved in the works of Plato and Xenophon. The discussion of moral and philosophical problems between two or more characters in a dialogue is an illustration of one version of the Socratic method. The dialogues are either dramatic or narrative and Socrates is often the main participant. 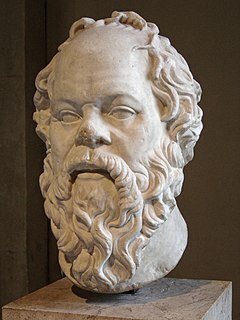 The Apology of Socrates, by Plato, is the Socratic dialogue that presents the speech of legal self-defence, which Socrates presented at his trial for impiety and corruption, in 399 BC. The Epistles of Plato are a series of thirteen letters traditionally included in the Platonic corpus. Their authenticity has been the subject of some dispute, and scholarly consensus has shifted back and forth over time. They were "generally accepted as genuine until modern times"; but by the close of the nineteenth century, many philologists believed that none of the letters were actually written by Plato. Now every letter except the First has some defenders of its authenticity. The Twelfth is also widely regarded as a forgery, and the Fifth and Ninth have fewer supporters than the others. The Platonic dialogue, as a distinct genre which features Socrates as a speaker and one or more interlocutors discussing some philosophical question, experienced something of a rebirth in the 20th century. Authors who have recently employed it include George Santayana, in his eminent Dialogues in Limbo (1926, 2nd ed. 1948; this work also includes such historical figures as Alcibiades, Aristippus, Avicenna, Democritus, and Dionysius the Younger as speakers). Also Edith Stein and Iris Murdoch used the dialogue form. Stein imagined a dialogue between Edmund Husserl (phenomenologist) and Thomas Aquinas (metaphysical realist). Murdoch included not only Socrates and Alcibiades as interlocutors in her work Acastos: Two Platonic Dialogues (1986), but featured a young Plato himself as well. More recently Timothy Williamson wrote Tetralogue, a philosophical exchange on a train between four people with radically different epistemological views. Aleco Christakis (who created structured dialogue design) and John N. Warfield (who created science of generic design) were two of the leading developers of this school of dialogue. The rationale for engaging structured dialogue follows the observation that a rigorous bottom-up democratic form of dialogue must be structured to ensure that a sufficient variety of stakeholders represents the problem system of concern, and that their voices and contributions are equally balanced in the dialogic process. In one deployment, structured dialogue is (according to a European Union definition) "a means of mutual communication between governments and administrations including EU institutions and young people. The aim is to get young people's contribution towards the formulation of policies relevant to young peoples lives." The application of structured dialogue requires one to differentiate the meanings of discussion and deliberation. Moral dialogues are social processes which allow societies or communities to form new shared moral understandings. Moral dialogues have the capacity to modify the moral positions of a sufficient number of people to generate widespread approval for actions and policies that previously had little support or were considered morally inappropriate by many. Communitarian philosopher Amitai Etzioni has developed an analytical framework which—modeling historical examples—outlines the reoccurring components of moral dialogues. Elements of moral dialogues include: establishing a moral baseline; sociological dialogue starters which initiate the process of developing new shared moral understandings; the linking of multiple groups' discussions in the form of “megalogues”; distinguishing the distinct attributes of the moral dialogue (apart from rational deliberations or culture wars); dramatization to call widespread attention to the issue at hand; and, closure through the establishment of a new shared moral understanding. Moral dialogues allow people of a given community to determine what is morally acceptable to a majority of people within the community. ↑ See entry on "dialogue (n)" in the Oxford English Dictionary, 2nd ed. ↑ Nakamura, Hajime (1964). The Ways of Thinking of Eastern Peoples. p. 189. ISBN 978-0824800789. ↑ Phillips, Louise (2011). The Promise of Dialogue: The dialogic turn in the production and communication of knowledge. pp. 25–26. ISBN 9789027210296. ↑ Jazdzewska, K. (1 June 2015). "From Dialogos to Dialogue: The Use of the Term from Plato to the Second Century CE". Greek, Roman and Byzantine Studies 54.1 (2014), P. 17-36. 54 (1): 17–36. ↑ Kutzko 2012, p. 377. ↑ Kutzko 2012, p. 381. ↑ Nairn, John Arbuthnot (1904). The Mimes of Herodas. p. ix. 1 2 3 4 Gosse, Edmund (1911). "Dialogue" . In Chisholm, Hugh. Encyclopædia Britannica . 8 (11th ed.). Cambridge University Press. pp. 156–157. ↑ Merriam-Webster's Encyclopedia of Literature. Merriam-Webster, Inc. 1995. pp. 322–323. ISBN 9780877790426. ↑ Sarton, George (2011). Ancient Science Through the Golden Age of Greece. p. 405. ISBN 9780486274959. ↑ Bos, A. P. (1989). Cosmic and Meta-Cosmic Theology in Aristotle's Lost Dialogues. p. xviii. ISBN 978-9004091559. ↑ Craig, Hardin; Thomas, Joseph M. (1929). "Walter Savage Landor". English Prose of the Nineteenth Century. p. 215. ↑ Altorf, Marije (2008). Iris Murdoch and the Art of Imagining. Bloomsbury Academic. p. 92. ISBN 9780826497574. ↑ Braybrooke, Marcus (2009). Beacons of the Light: 100 Holy People Who Have Shaped the History of Humanity. p. 560. ISBN 978-1846941856. ↑ Bergman, Samuel Hugo (1991). Dialogical Philosophy from Kierkegaard to Buber. p. 219. ISBN 978-0791406236. ↑ Nolan 2006, p. 30. ↑ Nolan 2006, p. 174. ↑ Isaacs, William (1999). Dialogue and The Art Of Thinking Together. p. 38. ISBN 978-0307483782. ↑ Goodson, Ivor; Gill, Scherto (2014). Critical Narrative as Pedagogy. Bloomsbury. p. 56. ISBN 9781623566890. ↑ Bird, Otto A.; Musial, Thomas J. (1973). "Great Books Programs". Encyclopedia of Library and Information Science. 10. pp. 159–160. ↑ Jon, Ronson (2014-12-06). "Shimer College: The Worst School in America?". Guardian. ↑ "Why SJC?". St. John's College. Retrieved 2015-01-18. ↑ Flecha, Ramon (2000). Sharing Words. Theory and Practice of Dialogic Learning. Lanham, MD: Rowman and Littlefield. ↑ Sorenson, R. L. (2011). Family Business and Social Capital. p. xxi. ISBN 978-1849807388. ↑ Laouris, Yiannis (2014-11-16). "Reengineering and Reinventing both Democracy and the Concept of Life in the Digital Era". 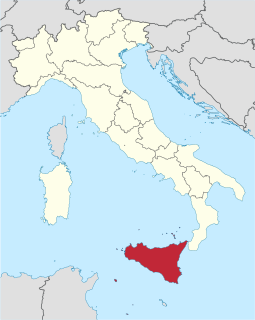 In Floridi, Luciano. The Onlife Manifesto. p. 130. ISBN 978-3319040936. ↑ Westoby, Peter; Dowling, Gerard (2013). Theory and Practice of Dialogical Community Development. p. 28. ISBN 978-1136272851. ↑ Denstad, Finn Yrjar (2009). Youth Policy Manual: How to Develop a National Youth Strategy. p. 35. ISBN 978-9287165763. ↑ Hunt, Richard A.; Hof, Larry; DeMaria, Rita (1998). Marriage Enrichment: Preparation, Mentoring, and Outreach. p. 13. ISBN 978-0876309131. ↑ Karl-Martin Dietz: Acting Independently for the Good of the Whole. From Dialogical Leadership to a Dialogical Corporate Culture. Heidelberg: Menon 2013. p. 10. ↑ Dietz: Acting Independently for the Good of the Whole. p. 10. ↑ Karl-Martin Dietz: Dialog die Kunst der Zusammenarbeit. 4. Auflage. Heidelberg 2014. p. 7. 1 2 Karl-Martin Dietz, Thomas Kracht: Dialogische Führung. Grundlagen - Praxis Fallbeispiel: dm-drogerie markt. 3. Auflage. Frankfurt am Main: Campus 2011. ↑ Etzioni, Amitai (2017). "Moral Dialogues". Happiness is the Wrong Metric. Library of Public Policy and Public Administration. 11. pp. 65–86. doi:10.1007/978-3-319-69623-2_4. ISBN 978-3-319-69623-2. Dialogic means relates to or is characterized by dialogue and its use. A dialogic is communication presented in the form of dialogue. Dialogic processes refer to implied meaning in words uttered by a speaker and interpreted by a listener. Dialogic works carry on a continual dialogue that includes interaction with previous information presented. The term is used to describe concepts in literary theory and analysis as well as in philosophy. Phronesis is an Ancient Greek word for a type of wisdom or intelligence. It is more specifically a type of wisdom relevant to practical action, implying both good judgement and excellence of character and habits, or practical virtue. Phronesis was a common topic of discussion in ancient Greek philosophy. Sophrosyne is an ancient Greek concept of an ideal of excellence of character and soundness of mind, which when combined in one well-balanced individual leads to other qualities, such as temperance, moderation, prudence, purity, decorum and self-control. 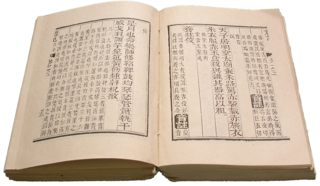 In other languages there is no equivalent word, except the similar concept of ZhongYong 中庸 in Chinese Confucianism. The Socratic problem is a term used in historical scholarship concerning attempts at reconstructing a historical and philosophical image of Socrates based on the variable, and sometimes contradictory, nature of the existing sources on his life. Scholars rely upon the extant sources such as those of contemporaries like Aristophanes or disciples of Socrates like Plato and Xenophon for knowing anything about Socrates. However, these sources contain contradictory details of his life, words, and beliefs when taken together. This complicates the attempts at reconstructing the beliefs and philosophical views held by the historical Socrates. It is apparent to scholarship that this problem is now deemed a task seeming impossible to clarify and thus perhaps now classified as unsolvable. The dialogical self is a psychological concept which describes the mind's ability to imagine the different positions of participants in an internal dialogue, in close connection with external dialogue. The "dialogical self" is the central concept in the dialogical self theory (DST), as created and developed by the Dutch psychologist Hubert Hermans since the 1990s. Research methodology based on intersubjective dialogue and an egalitarian relationship between the research team and those being researched .Current societies are characterized for using dialogue in different domains, seeing it as necessary for social progress and for avoiding different social conflicts. Critical communicative methodology is characterized for its dialogic orientation in different aspects of the research. The theory of Forms or theory of Ideas is a philosophical theory, concept, or world-view, attributed to Plato, that the physical world is not as real or true as timeless, absolute, unchangeable ideas. According to this theory, ideas in this sense, often capitalized and translated as "Ideas" or "Forms", are the non-physical essences of all things, of which objects and matter in the physical world are merely imitations. Plato speaks of these entities only through the characters of his dialogues who sometimes suggest that these Forms are the only objects of study that can provide knowledge. The theory itself is contested from within Plato's dialogues, and it is a general point of controversy in philosophy. Whether the theory represents Plato's own views is held in doubt by modern scholarship. However, the theory is considered a classical solution to the problem of universals. Dialogic education is an educational philosophy and pedagogical approach that draws on many authors and traditions. In effect, dialogic education takes place through dialogue by opening up dialogic spaces for the co-construction of new meaning to take place within a gap of differing perspectives. In a dialogic classroom, students are encouraged to build on their own and others’ ideas, resulting not only in education through dialogue but also education for dialogue. Dialogic pedagogy is a theory and practice of teaching in which dialogue is central. Teachers and students are in an equitable relationship and listen to multiple points of view.